The state unit of the BJP today urged the Congress government in the state to detect and deport foreigners who have illegally entered the state from neighbouring countries. 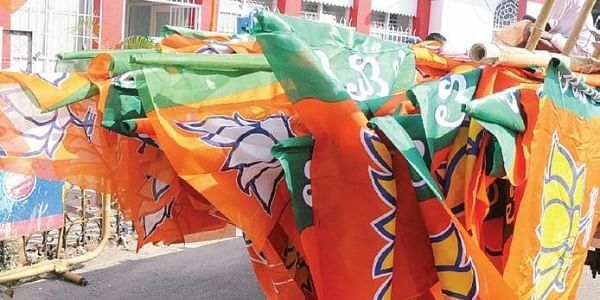 AIZWAL: The state unit of the BJP today urged the Congress government in the state to detect and deport foreigners who have illegally entered the state from neighbouring countries. In a press statement issued here, the BJP said the joint secretary of the Ministry of Home Affairs, Dilip Kumar, had on August 8 instructed the state chief secretary to immediately deport the "undocumented" immigrants. The state government, however, failed to act on the instructions of the Centre, it said. The BJP also accused the ruling party of taking advantage of the illegal influx for strengthening its vote bank. The BJP would repatriate all illegal immigrants when it comes to power, the statement added.